Grande lives up to it’s name with stopping power and capacity. Redington’s new Grande reel seems to expand on the popularity of their Behemoth series of reel. Simply put, the Grande is a fancied up, machined version of the die-cast constructed Behemoth. Cut from aircraft grade aluminum (T-6061 aluminum construction), the Grande is impressively light with a ton of stopping power and it’s V-shaped spool stacks backing and line quickly. I tested the 9-10-11 and while it does appear large, it is not heavy (11 oz.). The Redington Grande is now available starting at $299 and topping out at $349. Redington has incorporated a new sealed SUPER-TORQUE carbon drag system that wasn’t a part of the Behemoth’s design. They have also included an exposed palming rim for adding nuanced pressure to a running fish. The Grande is striking to look at and is available in Champagne, Marine (blue) and Black anodizing. 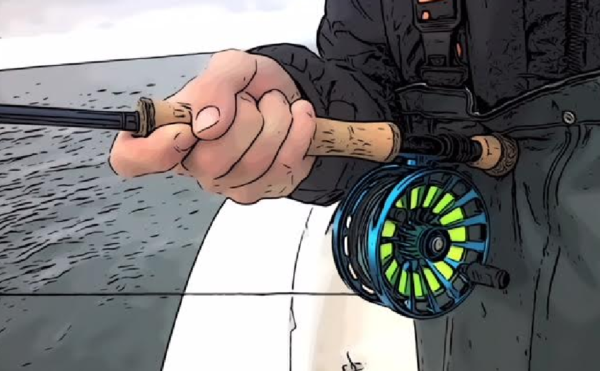 The reel also incorporates an enlarged soft-touch, anti-snag handle machined from Delrin to increased grip and ergonomic comfort. A nylon reel case is included. Redington backs this reel with a lifetime warranty. Switching from left to right hand retrieve was a breeze. Four sizes of Grandes are available to pair with any fly rod from a 5 weight to a 14 weight. 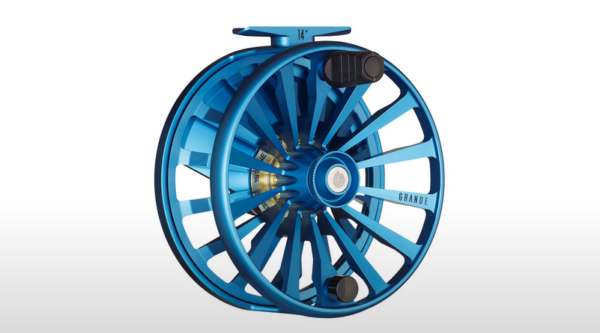 Simply put, Redington has entered the market where $600-$1000 reels are not uncommon. 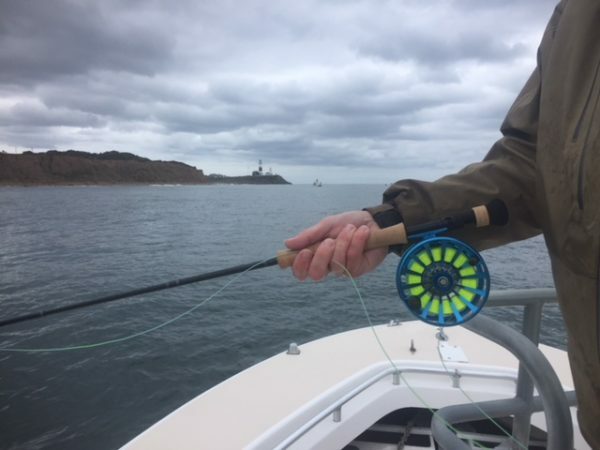 Our testing included putting the reel through the rigors of Montauk albie fishing for days on end. The reel did not miss a beat. We caught albies, bass and bluefish. 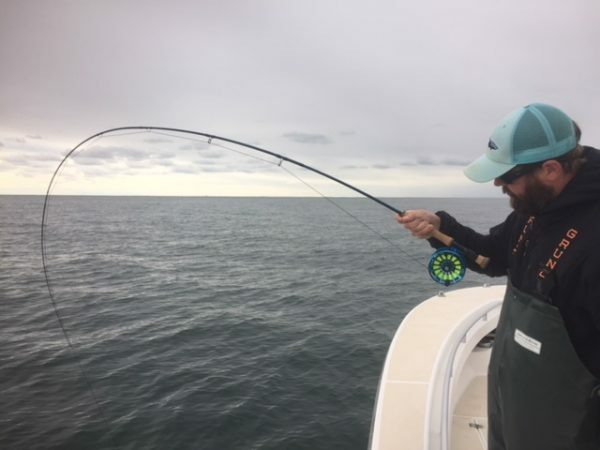 The Grande performed extremely well and would be a wise choice for anglers looking to get into a great large arbor, sealed drag reel without breaking the bank. Fighting albie off of Montauk Point.